Tin Hat will chase a hat-trick of wins when he steps up in class in the Group Three Manfred Stakes. A number of established stakes-winning colts are set to make their returns to racing in the Group Three Manfred Stakes at Caulfield but it is two geldings with race fitness on their side who have been installed the early favourites. A field of 11 has been declared for Saturday’s Manfred (1200m) for three-year-olds including the Victoria Derby winner Extra Brut, Sandown Guineas winner Ringerdingding, Victoria Derby runner-up Stars Of Carrum and dual stakes winner Ranier who will all be first-up from spells. The James Cummings-trained Tin Hat was the $4 favourite in an early market on Wednesday with the Lindsay Park-trained Poised To Strike at $4.20. Tin Hat has won two midweek races at Sandown this time in while Poised To Strike won at Flemington first-up this campaign on December 22 and goes into Saturday’s race off a freshen-up. Cummings has Tin Hat and Ranier in the Manfred and despite being installed the early favourite the trainer believes Tin Hat, who has led all the way in his two wins this preparation, needs to step up again to win. 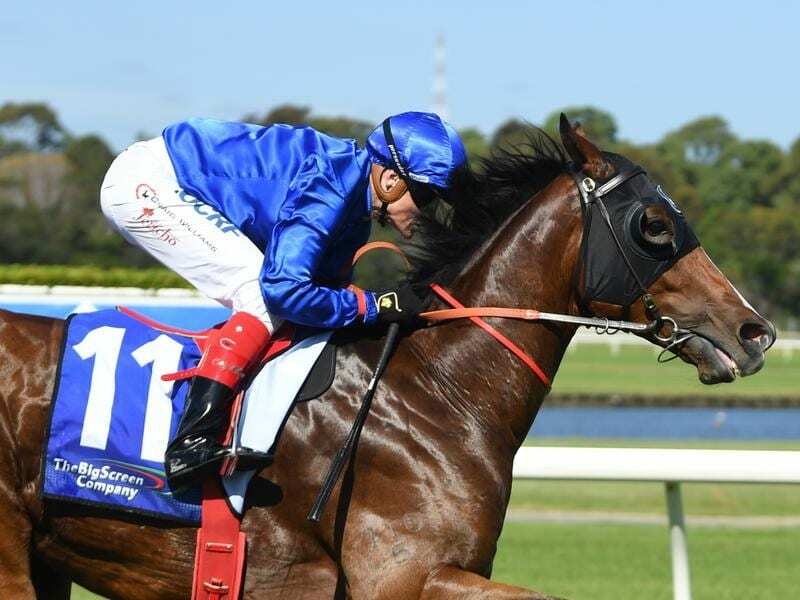 “He has returned as a gelding and scored two nice wins and he’s capable of running a solid race, but he’d need to lift considerably against opposition of this quality,” Cummings said. One of those three-year-olds who will be first-up is Ranier who is on a path towards the Group One Australian Guineas in early March. Ranier stamped himself as a genuine Australian Guineas prospects with victories in the Listed Gothic Stakes (1400m) at Caulfield and the Group Three Carbine Club Stakes (1600m) at Flemington last spring before heading for a spell. “He has developed nicely during his break,” Cummings said. Ranier and Ringerdingding shared the third line of betting on Wednesday at $5.50. The only filly in the field is Fundamentalist who will be first-up since finishing third in the Empire Rose Stakes at Flemington in November. The Empire Rose Stakes was one of three Group One placings for the filly so far in her 12 start career.